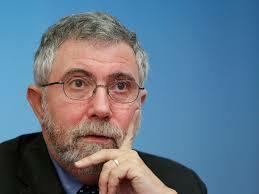 Geez, is Paul Krugman about to launch a gold bug newsletter, to be published by Bill Bonner, next? He is warning about a developing US debt crisis. He has a decidedly nasty lefty spin to his warning but he sticks to facts in this warning and he is correct to issue the warning. He got it half right when he said one party is dominated by extremists.